Jerre Haskew, who on the radio goes by the nickname The Music Man, will be inducted into the America’s Old Time Music Hall of Fame along with his band mates in The Cumberland Trio. Joining him as inductees will be Tom Kilpatrick, the late Andy Garverick and bassist/arranger Jim Shuptrine. Previously inducted members of the America’s Old Time Music Hall of Fame include Roy Acuff, Johnny Cash, Jimmie Rodgers, Hank Williams and the Carter Family. The 39-year-old hall is located in LeMars, Iowa and the induction ceremony will be held at the National Old Time Music Festival there on August 25, 2014. The annual festival showcases 650 acts on 10 stages. 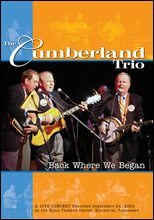 The Cumberland Trio, which took its name from the strip near campus originated more than 50 years ago in Knoxville, where the young musicians were attending the University of Tennessee. They were a popular folk act on the verge of big things at the time. They won a couple of local competitions and then a national one- The National Collegiate Folk Singing Competition in Jacksonville, FL in December, 1963. In the summer of 1964, they had a steady gig in Gatlinburg. They recorded 15 songs at RCA Studio B in Nashville with Chet Atkins in the booth, and then later recorded a 12-track album in New York City. They’d appeared on “Hootenanny,” a music-based ABC television show, along with with Doc Watson and Bill Monroe and things were looking really good. They saw the New York sessions as an opportunity to hit it big, and ended up signing a contract with a new label that soon after went bankrupt and the album was shelved. The British Invasion essentially did the same for the folk music boom in general. The group found new life in 2000 when Haskew’s wife surprised him with a special edition copy of a children’s book based on his song “A Lion Named Sam.” It moved him to dig out the recording of the song and have it remastered. That led to more remastered songs and eventually the group reformed in 2001 for a couple of reunion shows in Knoxville and here. Their’s is actually a pretty fascinating and revealing story about the music industry at that time and how fickle fame and success can be. Their last show, for example, was at Wake Forest University in 1964 and was cut short after three songs because the football team stormed in after a rare win. Thanks so much, Jim. You were a big part of our journey and comeback. W’ll never forget the privilege of appearing many times on Clayton Startime or your support of our reunion concerts and appearance onstage with us for the finale!! Paco, you were a big part of this journey and without you none of it would ever have happened. I know Andy & Shup would/do feel the same. Let’s pick!! Jerre, it just keeps getting better and better. Congratulations! Andy, thanks so much!! 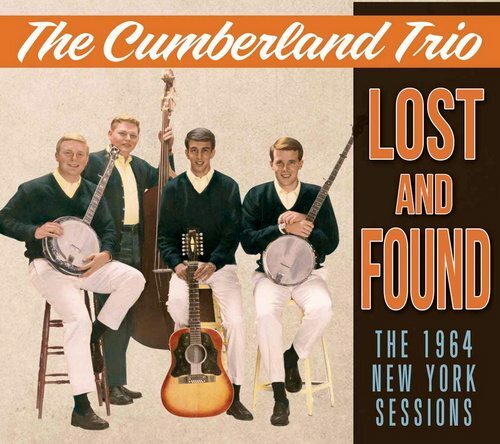 Without you remastering Lost & Found- The 1964 New York Sessions- none of this would have happened!! LeMars, IA is the home of Blue Bunny ice cream and I’m writing a song about it- a fun one- for the occasion. 🙂 Kinda shocked by all this and am so glad we met on that plane from San Jose to San Diego!! Let’s resolve to get together sometime this year somewhere!! You are a phenomenal talent and epitomize the meaning of true friend!! Forever Young & Folk On!! The group represents an important time in American music. Congratulations to you all.